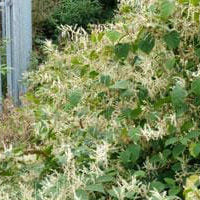 Ohio Department of Agriculture to regulate invasive plants species. Ohio Department of Agriculture to regulate invasive plants species. In September of 2014, the Ohio General Assembly granted the Ohio Department of Agriculture (ODA) the exclusive authority to regulate invasive plants species. Under the law invasive plants are defined as plant species that are not native to Ohio whose introduction causes or is likely to cause economic or environmental harm, or harm to human health as determined by scientific studies. After nearly two years of stakeholder outreach, new rules have been established and are effective as of January 7, 2018. We are reaching out to make you aware of these new regulations and the list of invasive plants in the state of Ohio. These rules prohibit the sale and distribution of invasive plants in the state of Ohio. Further, the rules establish a committee which will advise ODA on matters regarding invasive plants. In some cases businesses may have invested considerable time and resources into growing some of these plants. These rules include a grace period for the prohibition to take effect for some species, which allows businesses time to transition toward alternative plants to market as replacements. For more information please contact the Plant Pest Control Section at 614-728-6400, plantpest@agri.ohio.gov or contact your local nursery inspector.